Want to keep your winch solenoid away from the elements and preying eyes? Our laser cut steel bracket will allow you to mount your solenoid to the factory coolant bottle bracket. This does require the relocation or use of an aftermarket coolant overflow tank (recirculating type). 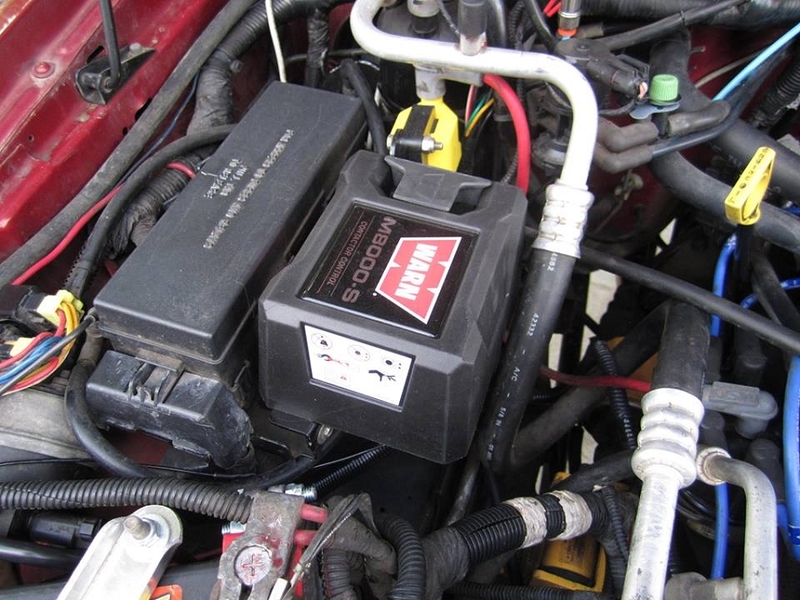 This mount will work with all Warn solenoids, and others as well due to it's universal nature. You'll need to make sure to test your remote for proper fitment to ensure it doesn't contact the hood when closed.